To be able to cook tasty yet healthy food in a limited amount of time is a challenge for most of us are busy with work or family. 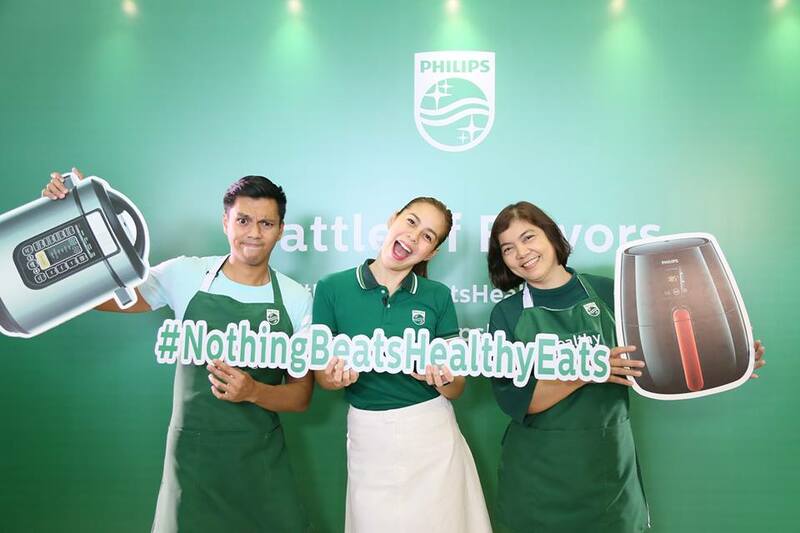 Healthy food is essentials to have a happy and healthy life that’s why Philips come up with appliances that can shorten the time of cooking yet not sacrificing the taste and nutrition of the food. 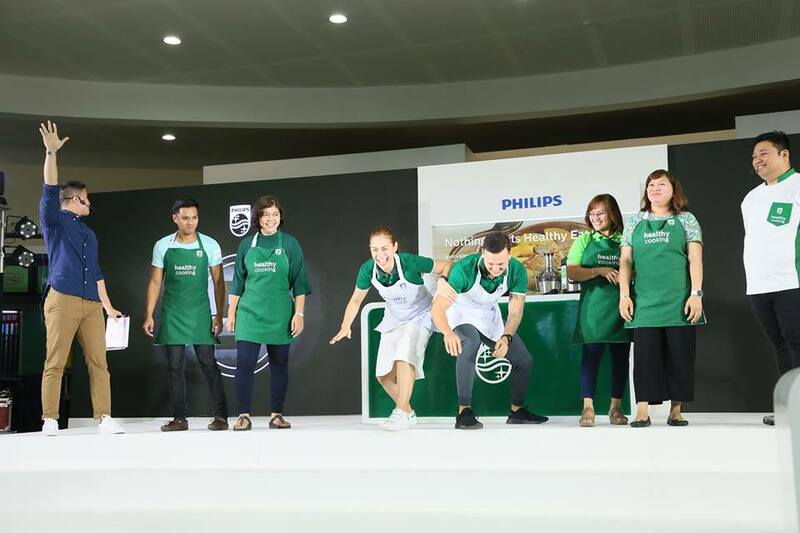 As part of this great cause, they started a Battle of Flavors Caravan in Davao, Cebu, Pampanga, Makati and Batangas. 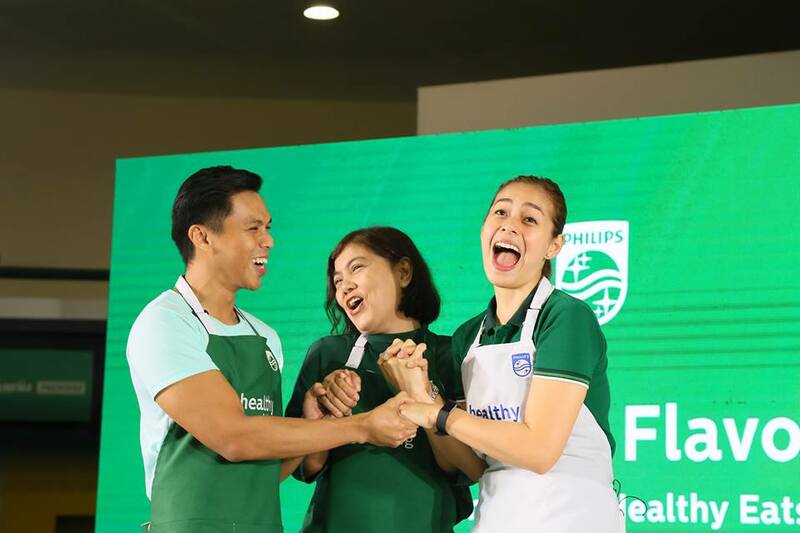 As part of its advocacy in motivating Filipinos from all ages and all walks of life to make healthier choice, Philips kicks off its #NothingBeatsHealthyEats Caravan. 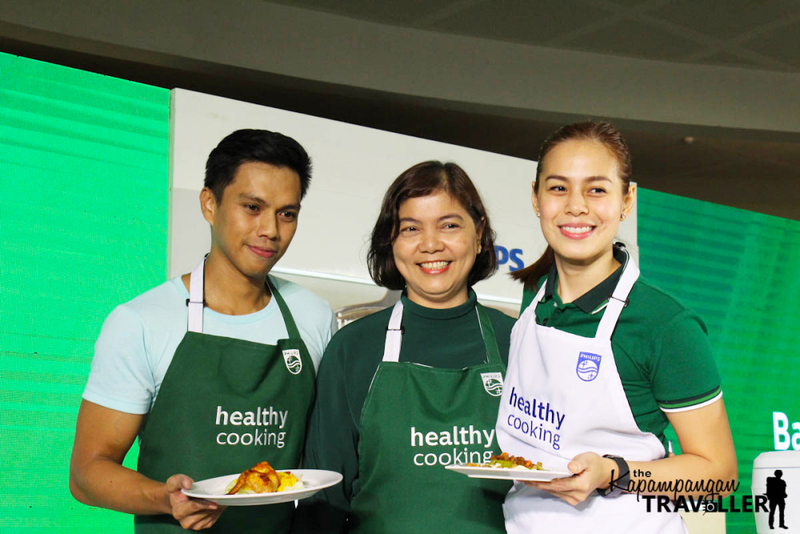 As an owner of healthy food deliver in Pampanga, I fully support Philips advocacy as it’s my life long passion and advocacy also to provide healthy meals and educate Kapampangan to eat healthy and be be fit. Philips, a global leader in kitchen appliances, strives to make the world healthier and more sustainable through innovation. Here’s the challenge! 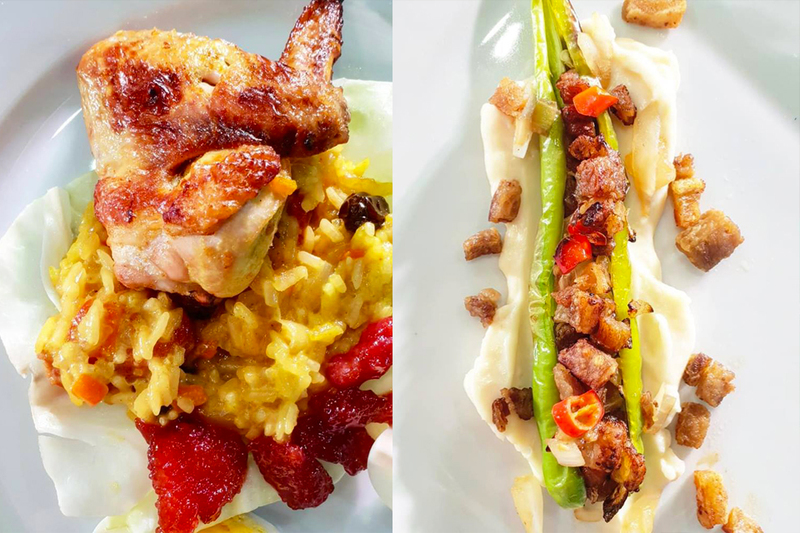 Celebrity mommy, Bettinna Carlos; celebrity chef, Martin Jickain; and restaurateur Chef Edward joined forces to put together a healthy spin on a menu of Filipino favorites in Pampanga. 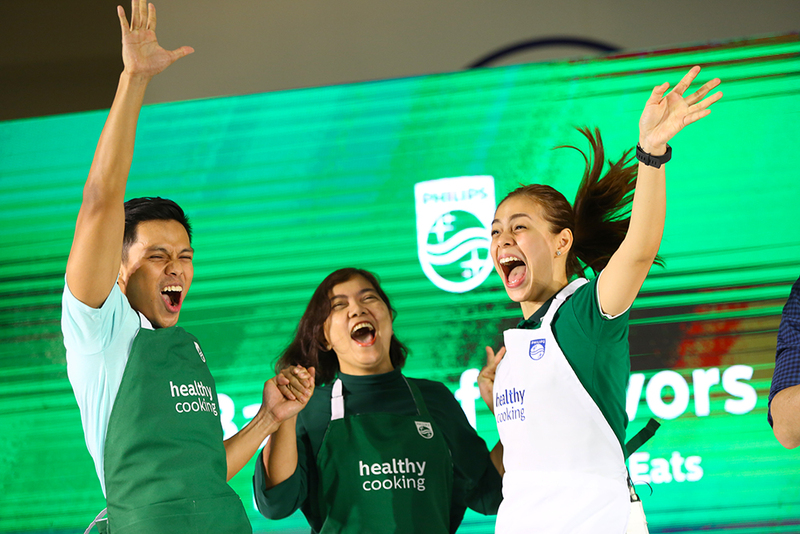 Bettinna and Martin will battle it out to showcase sumptuous yet healthy meals with the help of local two contenders per team from each leg. 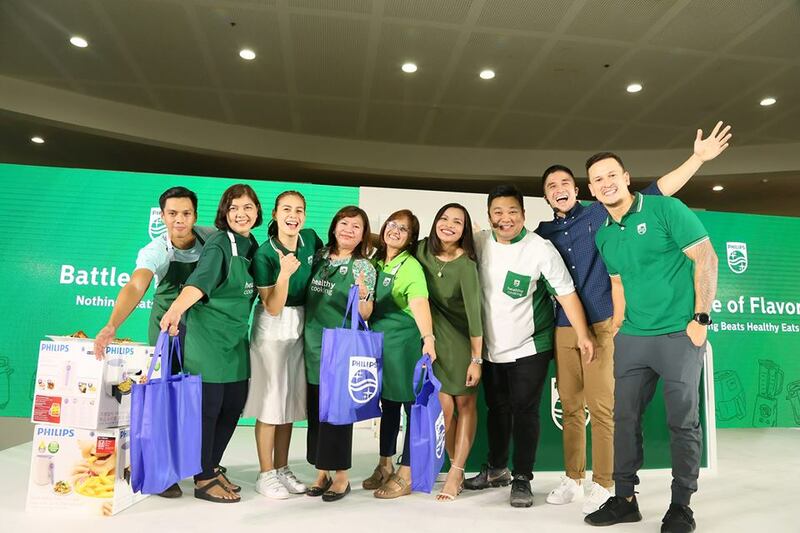 For the Pampanga leg happened at SM City Pampanga, I got the chance to join Team Bettinna together with mommy Lilian. We are given one hour to cook two dishes, one dish should be Biringhe, a local dish with the surprise ingredient Tocino. The other dish we choose is Sisig for its famous dish that known worldwide that put the Philippines in the culinary spotlight as Celebrity chef Anthony Bourdain said Sisig is definitely the Best pork dish in the world. This is just a friendly competition but if you know me personally I will do my best in everything that I do. I enjoy life by travelling and cooking my heart out but I’m also a competitive person and goal driven entrepreneur. We already have a gameplan before the challenge, given the limited time and pressure everything should be well implemented. Bettinna Carlos, Mommy Lilian and I have different cooking principle and skills that can make or break the game but we communicate so well that we agreed on some point to perfectly execute task and come up with delectable dishes. During the challenge we use Philips Avance AirFryer with rapid air technology it enables you to fry, bake, roast and grill the tastiest snacks and meals with less fat than a conventional fryer, by using little or no oil. Touch Rice Cooker and Philips All in One Cooker with intelligent cooking system, you can slow cook, pressure cook and multi cook all in the one machine. Its aluminum alloy inner pot is durable and offers more effective heat conduction. After an hour of heartpumping action, we won the battle! Our differences in cooking style created innovative winning dishes. Our winning dishes are: Sinumang Bringhe with Airfried Turmeric Chicken and Belly Good Crispy Sisig Stuffed Sili.